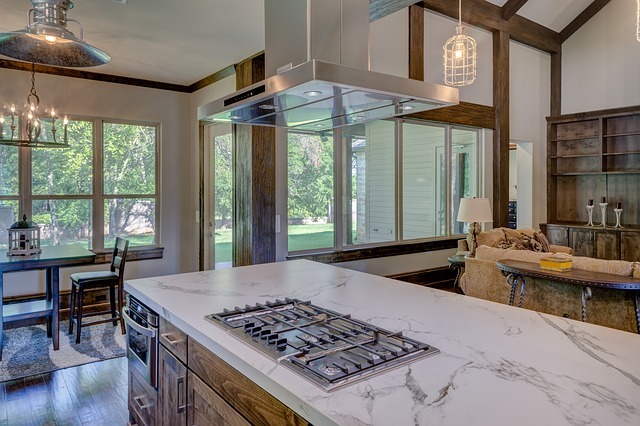 If you’re planning a kitchen design or remodeling project soon, it’s a good time to take a look at some of the hottest trends of the year. The remodeling professionals at Wellington Carpet and Floors in Brooklyn, NY, have some suggestions to update your home. Opt For Soft Colors: Understated tones reign supreme in kitchens and other areas of the home. Look to “new” neutrals, like charcoal, sage green, cream, and pale blue as an alternative to standard blacks, whites, and browns. Consider refacing the kitchen cabinets in lieu of a complete remodel, or change the tub, sink, and toilet for a fresh bathroom design. Play With Textures: If an existing room already has a dominating texture, such as stone or raffia, introduce that same texture in a different pattern elsewhere in the room. For example, a stone-faced kitchen backsplash can subtly complement your stone floor tiles. Wooden beams on the ceiling can contrast with a trendy half-moon wooden island in the center of the kitchen. 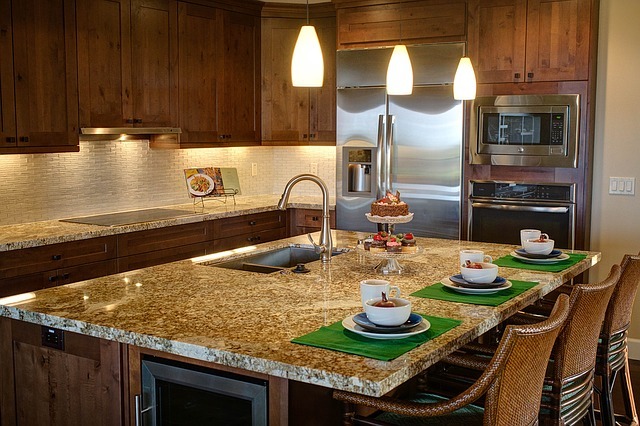 Light It Up: Brighten up your kitchen design with extra lighting beneath the cabinets. LED tape lights are low voltage and perfect for illuminating countertops or even using inside glass-door cabinets. You can also use them as backlighting in a bathroom, along a banister to brighten the stairway, or even to accent furniture, such as a headboard or pool table. Open Up Your Space: Many modern homes feature great rooms, or spaces that incorporate both the kitchen and living areas. Consider opening up this space by knocking out a central wall that is not load bearing. Wood or laminate flooring throughout can also give the room a seamless, impressively-sized appearance. The 1980s Are Totally Rad: Everything old is new again, including trends that you thought expired back in the 1980s. Everything from hyper-glossy countertops to shiny backsplashes is making a statement in 2016. The key is to think in extremes—the ‘80s were all about excess in color, shine, and proportion. With over 15 years of experience, Wellington Carpet and Floors can give any area of your home the perfect finishing touch: striking laminate flooring to complement any room, classic hardwood to make a sophisticated kitchen design statement, or plush carpet to warm up your home. To find out about their services, visit the company’s website, or call (718) 951-3700.